This Alliance product is now Administrator of the Geneva, N.Y. General Hospital and one of the distinguished hospital executives in New York State. 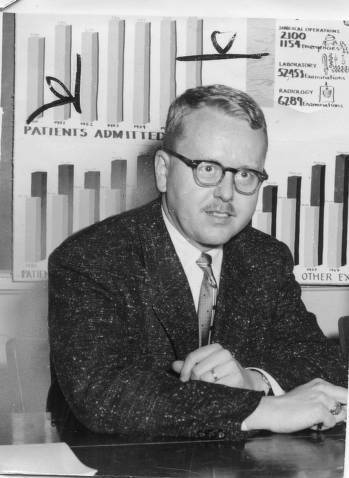 He received his Bachelor of Arts degree at Mount Union College in 1941 and Master’s degree in Hospital Administration at the University of Minnesota in 1948. A member of state and national hospital associations, Mr. Johnson also has the rank of Fellow in the American College of Hospital Administrators. He has written authoritative articles on hospitals and has done much lecturing. Mr. Johnson was honored by the Geneva Area Chamber of Commerce as Man of the Year in 1968. 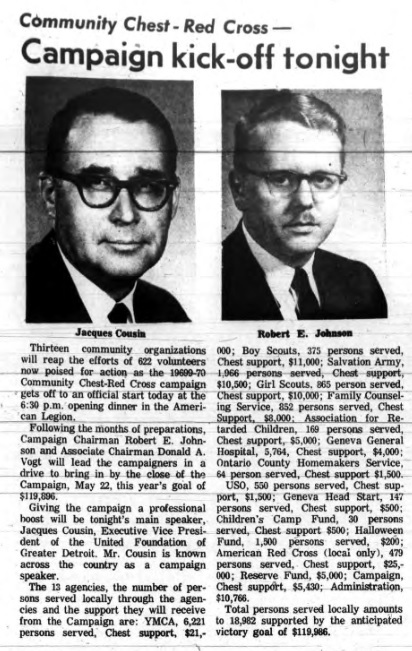 He was chairman of the 1969 Community Chest – Red Cross Campaign with a goal of raising $120,000 to support 13 different agencies that serve nearly 19,000 persons in the Geneva area. In 1970, Mr. Johnson received from then New York Governor Nelson Rockefeller, a commendation for 20 years of community health service. He has served on the board of directors for the Bank of Geneva, NY. Prominent in the Methodist Church, he is a certified speaker in the Central New York Conference. Biographical update: Mr. Johnson passed away on November 14, 1999 at the age of 80. His spouse Nancy passed away four months later on March 21, 2000 at the age of 76. They are buried together in Brookside Cemetery in Geneva, NY.